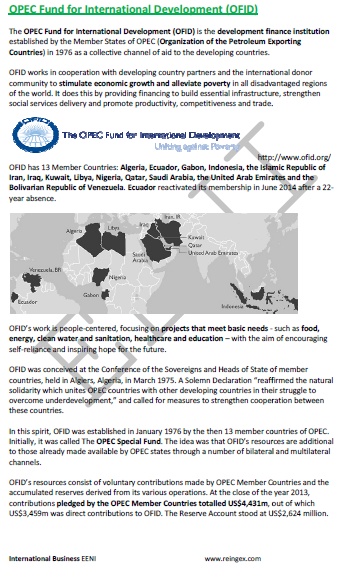 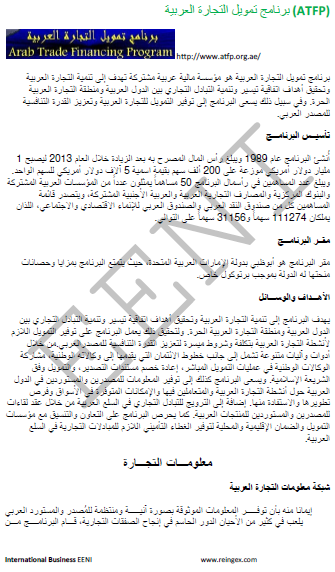 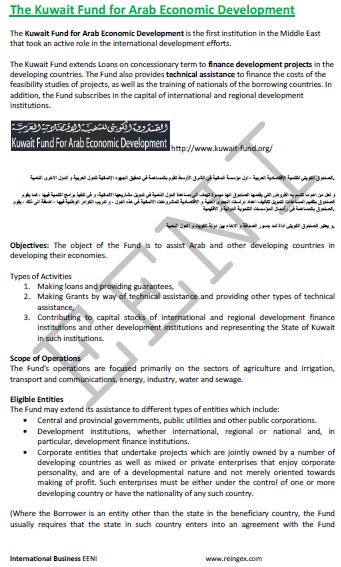 Syllabus of the Online Course (Subject): Arab Development Funds. 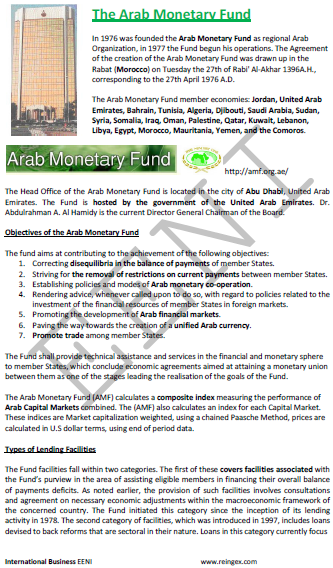 Learning materials in (or Fonds Arabes Fondos Árabes OIC). 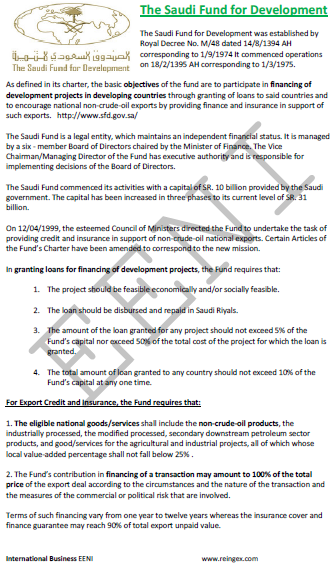 Intended for all those wanting to specialise in all the aspects related to Arab Development Funds and obtaining funding for development projects in the Middle East, Asia, and Africa: financing modalities, types of development aid or the characteristics of financeable projects. 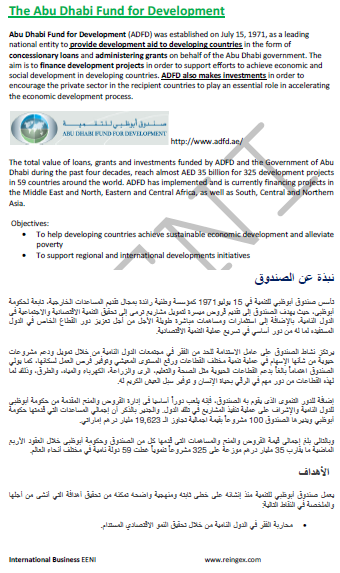 Arab Official Development Assistance represents 13% of global ODA. 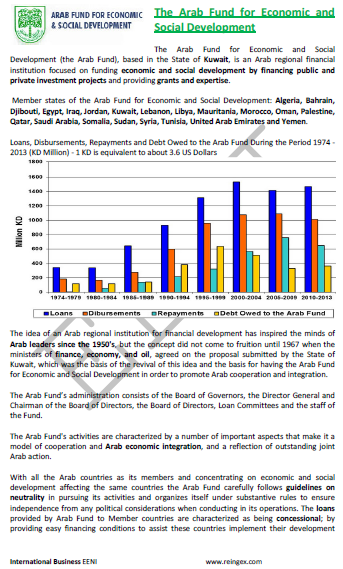 The main receptors of Arab Official Development Assistance are Muslim countries (Islamic Civilisation) are Afghanistan, Algeria, Chad, Egypt, Guinea, Indonesia, Iran, Jordan, Lebanon, Libya, Malaysia, Mali, Mauritania, Morocco, Niger, Pakistan, Palestine, Senegal, Sudan, Somalia, Tunisia, Turkey, Ivory Coast, Yemen, Bahrain, Oman, Qatar, Syria, Sierra Leone, Bangladesh, Gabon, the Gambia, Guinea-Bissau, Uganda, Burkina Faso, Cameroon, the Comoros, Iraq, Maldives, Djibouti, Benin, Brunei Darussalam, Nigeria, Azerbaijan, Albania, the Kyrgyz Republic, Tajikistan, Turkmenistan, Mozambique, Kazakhstan, Uzbekistan, Suriname, Togo, and Guyana. 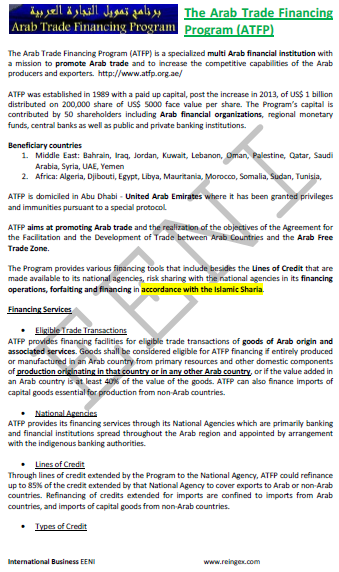 Organisation of Islamic Cooperation (OIC).